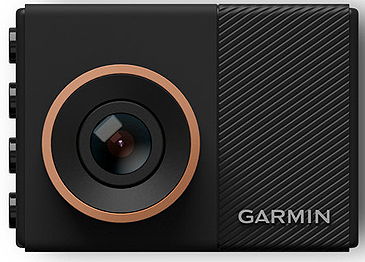 One of the companies at the forefront of in-car accessories is the renowned Garmin road safety and geolocation device company, which has surprised us with the design and manufacture of a high quality device such as the Garmin Dash Cam 55 camera that features voice control. When you take a quick look at the camera and the specifications, you can see that it is a minimalist device, simple, comfortable, light and with a two inches screen, a powerful 3.7 megapixel camera and a 1440p video recording with optimal sampling that allows clear recording in scenarios or environments with limited lighting. 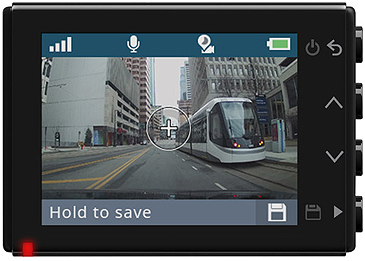 Another feature of the Garmin Dash Cam 55 is the relatively long battery life of about 30 minutes. Although that may not sound like a long battery life, in terms of dash cameras, it’s longer than most, as nearly all battery backed dash cams only stay on for a couple minutes. The reason for this is that the battery is not meant to power the camera, it’s only meant to save the last video file when you turn your car off. As for video storage, the camera comes with a microSD card included (class 10 of 8 Gb that allows at least 56 minutes of recording) and that can be increased when buying another microSD of up to 64 Gb. Typically you don’t need a large memory card since most people will only want to save a 2 minute video file in the event of an accident. The camera is equipped with an automatic detector of accidents known as G-sensor, which after having detected the sudden impact of an accident allows automatic locked recording of the video in real time without having to make sure that the camera will not overwrite the video file. In addition to a G-sensor, it provides has builtin GPS tracking, which Garmin is probably best known for. The GPS can show your speed as well as the coordinates of your location, which can come in handy when filing an insurance claim. There are also a number of safety features with this car camera. Including forward collision warning if there is a car approaching in front of you too fast. Lane departure warnings, which alert you if you go outside of your lane. The “GO” alert notifies you when traffic starts moving ahead of you and you are at a stand still. Red light camera warnings for upcoming red light cameras at intersections. There is also an option to use a subscription service through Cyclops to get updated red light camera and speed camera locations to keep your dash cam up to date. Parking mode allows you to monitor your vehicle 24/7 when it is parked. This feature will required a hardwire kit so it can use your cars battery when the car is off, or by using an external battery. The camera will remain in a standby mode, using little power and only turn on when motion or an impact is detected. With Voice Control, you are able to verbally activate various features of the camera. By simply saying “OK, Garmin” you can make a request with the following commands: “Save video”, “Take a picture”, “Record audio” and “Save Travelapse”. Some of these hand free options might come in handy, like the “Record audio”. A lot of people don’t like to have audio always recording on their dash cam, but if they are pulled over by police, they want to record audio of the stop. Being able to quickly turn on audio recording right after you are pulled over is a nice feature. 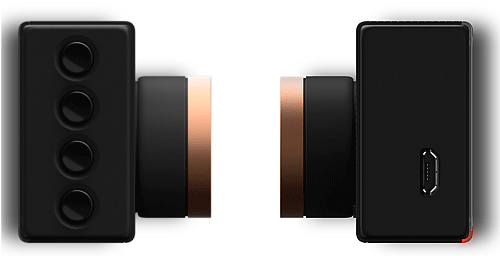 In addition to the various safety features, the camera comes with “Travelapse”, which condenses long videos into a fast forward time lapse, like you might see on a popular Youtubers channel. This feature can be fun to use on long or scenic road trips. 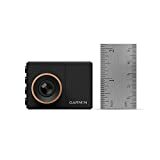 Overall the Garmin Dash Cam 55 is a good mid level dash camera that includes all the wanted features at a reasonable price, put out by one of the most reputable car device brands on the market today.